Hey! Slapping a folded newspaper against your thigh as you walk assertively toward a coyote with your eyes fixed on him is one of the best techniques I’ve found for shooing off a coyote who may have gotten too close for your comfort. 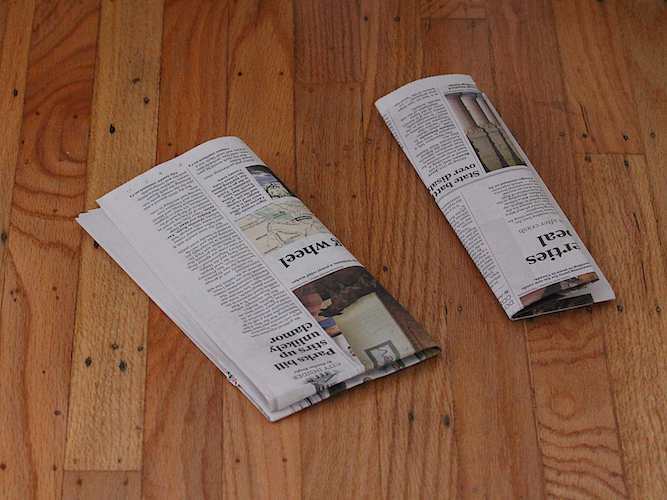 A newspaper section can easily be folded over once or twice and carried in your pocket. In fact, it’s not just the sharp noise which serves to deter. It’s also the flailing motion of slapping that paper against your leg which is important. It’s very aggressive. The coyote actually sees you hitting something, and that this hitting is coming his way — the coyote knows he’s next. And the bigger the flailing motion, the better. Tossing a small stone in their direction — but not at them — you don’t want to cause an injury — also works well. Coyotes will flee as a human approaches them — but slapping a newspaper or tossing a small stone will nudge them on faster, and may make you feel more confident and in control. Use this scare tactic ONLY if the coyote is coming towards you and imminently in your “space”. Your best option, of course, will be preventing getting that close in the first place by walking away from a coyote the minute you see one, especially if you have a dog. 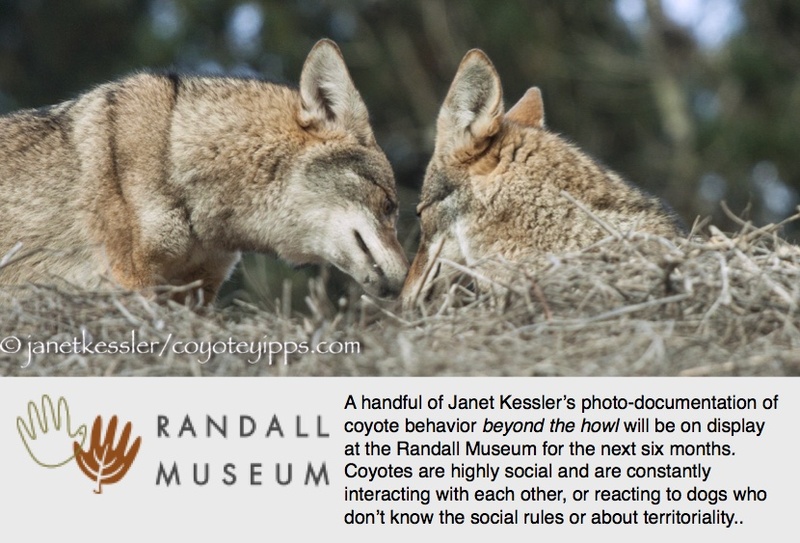 Please make sure to read my flyer: How to Handle a Coyote Encounter: A Primer. Good tip. When we first moved here, I was warned (by those who had never seen one) about the dangerous coyote. One friend even advised me to carry a gun when walking on the farm. I carry a loud whistle and radio – only using it when the neighbor’s cows are in the corn. On the rare occasion when I’ve seen a coyote, it rapidly moved on. Only exception is the coyote who watched (at a distance) one evening as we finished working in the garden. It would walk away and then stop and watch again as if it just didn’t know what to make of us. Then a couple of times my husband has fired his rifle in the air when he saw coyotes trekking a little closer to the house than we approved. They quickly got the message. Still its good to have a plan in case we accidentally encounter an animal in a situation where it feels the need to protect itself or warn us. Easy and cheap! Everybody has one ;) Thanks!